Croatia, with its long Adriatic shoreline and countless islands, historic harbour towns, remote coves and ever-changing scenery, is ideal terrain for a gulet trip. If you are eager to experience the wonders of the coast of Croatia to the full, to explore its history, its stunning landscapes, fabulous food, and – of course – to swim in its azure seas, then one of our expert-led Croatian gulet cruises will be the perfect holiday for you. Quite a number of authentic Turkish gulets have made their way into Croatian waters by now and we have personally inspected all of those we use – for our trips we choose only the finest boats that we deem suitable for a Peter Sommer Travels cruise. Our criteria include the technical capacity and equipment of the boat, as well as the standard of accommodation and the overall quality of the gulet. Every bit as central as the boat itself is its crew, as the everyday experience replies directly on their services and skills. Therefore, we set great emphasis on working with experienced captains who know the coast and islands well and with excellent chefs who can conjure up the fascinating offerings of Croatian cuisine in the on-board galley. Enjoyed in a vareity of locations from remote coves to lovely historical harbour towns, these al fresco meals are a highlight of any tour. We augment them with lunches or dinners in a number of carefully selected restaurants along the shore or on the islands – enabling our guests to discover authentic local specialities and sample the region’s great wines. 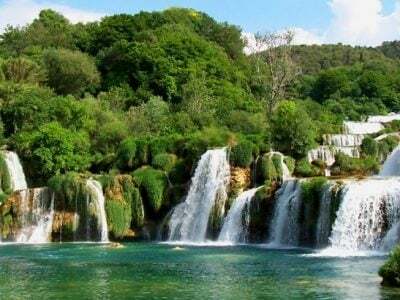 Cruising along the Croatian Shore and among the Croatian islands is a unique experience, with a different feel from our Turkish, Greek or Italian cruises. A complex coastline and a series of islands, large and small, are studded with wonderfully well preserved medieval and Renaissance towns and surrounded by the blue waters of the Adriatic, all overlooked by the mainland’s tall mountains. This is a maritime region that invites and richly rewards the explorer. The geology, topography and vegetation of the shores we visit varies considerably, making the cruise a series of memorable impressions. Cultural influences from all directions have converged here, bringing Iron Age tribesmen, ancient Greek settlers, Roman monuments, the Croatian themselves, as well as a strong Venetian and Italian influence on the coast, complemented by a touch of Austro-Hungarian splendour here and there. The mix of these elements differs from place to place, so that every location we visit along the way has its own distinctive history, traditions, style and character. Following our well-established approach to enjoying a region, our gulet cruises in Croatia include famous sights and places, like the Palace of Diocletian at Split, the great Renaissance city of Dubrovnik (Ragusa) or stylish Hvar Town on the island of the same name, as well as more off-the-beaten-track discoveries, such the outlying island of Vis, or the charming harbour of Pučišća on Brač. Here, our guests have a chance to get a sense for the true spirit of the place, to find their own interests and fascinations. Local architecture, traditions, specialities and stories, as well as the friendly locals themselves, are all part of this trip through Croatia’s history. 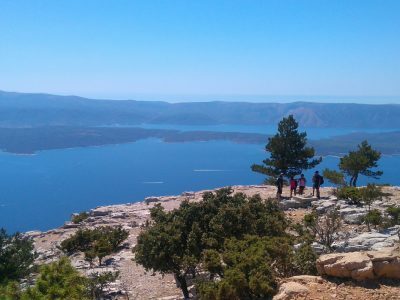 We offer a range of 1-week gulet holidays in Croatia: exploring the coast between Split and Dubrovnink in southern Dalmatia, the shore between Trogir and Zadar in northern Dalmatia as well as gastronomic and walking cruises of southern Dalmatia. Along the way, we show our guests the whole range of what the coast and islands have to offer, like the great Roman Palace at Split, the Walls of Ragusa (modern Dubrovnik) or the lovely Old Towns of Šibenik and Zadar. Distant Vis, verdant Mljet or the labyrinthine Kornati archipelago add to the variety – and the list goes on. Like all of our gulet cruises, the unique combination of a wonderfully beautiful maritime region, the expert guiding on carefully chosen archaeological or historical sites and the sheer pleasure of the gulet will combine into a first-rate experience: the perfect way to see Croatia’s shores. Derived from the French goulette (schooner), the word gulet describes a type of craft that is typical for Turkey’s southwestern coast. Its origins are found in various transport and fishing vessels of the Aegean. Usually double-masted, gulets were initially built of local Turkish pine, but different materials have entered the menu long since. The gulets we use are carefully selected – always on the basis of personal inspection, to make sure we use the best, most elegant and most versatile. They were built by skilled traditional craftsmen in various shipyards. The fine materials used in building them, the very traditional feel of their fittings, the pleasant pace of travel and the overall sense of beauty and grace they exude make them a uniquely attractive alternative to standard industrial yachts. 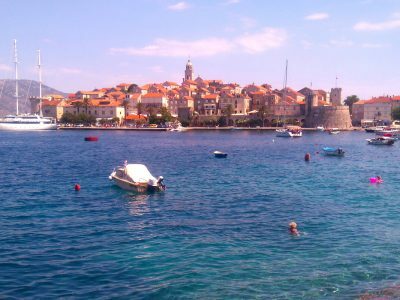 During a cruise in Croatia, there are many experiences to enjoy: swimming in the azure waters of the Adriatic, watching the never-ending array of scenery and lovely settlements drift past, learning about an important region’s variegated history, sampling the diverse cuisine and the superb wines of the area – it’s all there, waiting for you. If cruising, swimming and discovering the sites are not quite enough for you, further activities are available: snorkelling, kayaking, relaxed strolls on shore or in one or other harbour town, a chance to engage with local culture. Our guides, with profound knowledge of the area and its history, will be there to answer any questions- and to introduce you the wealth of local cuisine: based on their extensive travels in the region, they have a list of favourite restaurants, wineries and other places you will thoroughly enjoy. Typically, about 3-4 hours a day will be spent cruising. This is mostly by motor, to keep to schedule, but when conditions are right, we can unfurl the sails and enjoy the wonderful sense of freedom and harmony that sailing entails. 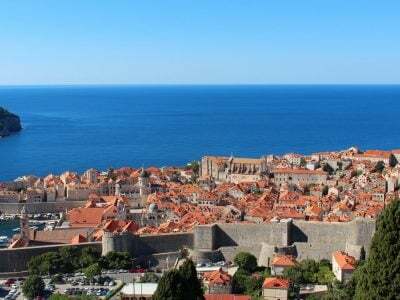 Croatia and its coast are the most recent addition to our list of cruise destinations – so far. Based on our over two decades of experience in designing and running gulet cruises, we have set up our Croatian cruises as a perfectly balanced combination of experiences. The range of options, from sight-seeing via swimming and snorkelling to hiking or wine-tasting, make the region equally ideal for private charters as it is for scheduled tours. No matter what you or your friends’ interests are, the Coast of Croatia has something to offer for everyone! The Croatian gulet cruise calendar runs from spring until autumn. If you have any questions about any of our Croatian gulet cruises or you’d like to enquire about creating a bespoke gulet holiday in Croatia just for you and your friends or familiy please get in touch. We will be delighted to help. Average rating 5 out of 5 from 372 reviews for Gulet Cruises in Croatia, according to AITO reviews. Ivana was an excellent guide, knowledgeable, enthusiastic and very engaging. She was very good company too and we laughed a lot on this trip. Her delight in her subject was infectious.